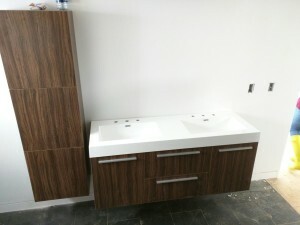 The Fresca Opulento vanity in Walnut in the master bath. 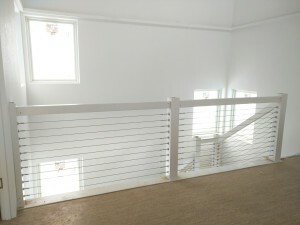 Cable rail upstairs. Really happy with how this turned out. 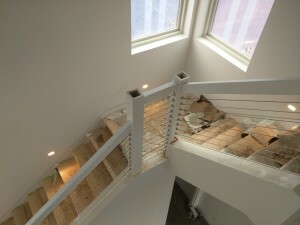 An excellent (and cheaper) alternative to glass handrails. INSTEON 6-Button Keypad Dimmer Switch, White in one of the bedrooms. I recommend getting these from Smarthome . I've always had a good experience with them. 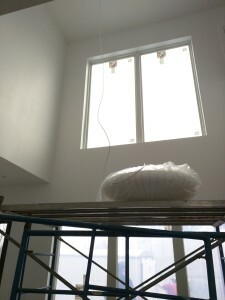 The electricians installed a double-gang box where we only needed a single gang – sigh. 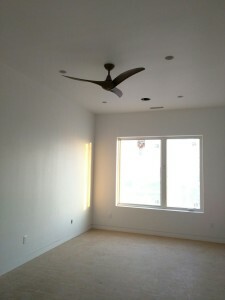 The four buttons in the middle control the ceiling fan without the need for a second switch. 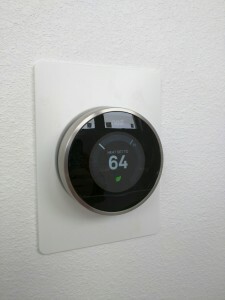 One of the two Nest thermostats. For whatever reason they felt the need to install the “oops plate” behind them. Downstairs will need some drywall patching, but upstairs it was totally unnecessary. Ugh. 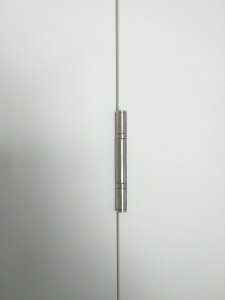 It’s a small thing, but I think they look good – the Rocyork hinges from EZY-Jamb. If you keep up with this blog then you know we absolutely love EZY-Jamb. 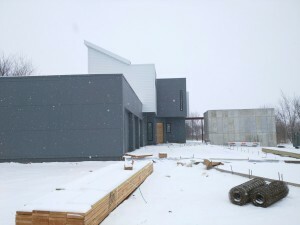 The doors are finally being finished! 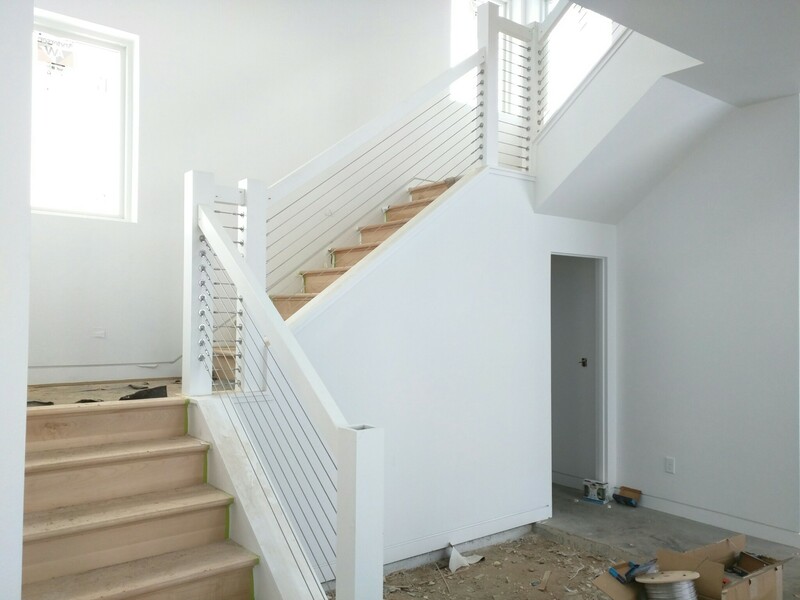 Cable rail on the stairs before the lower landing was redone. 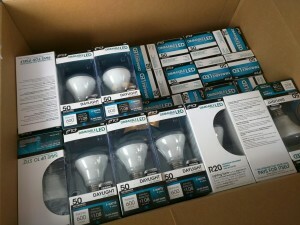 Although LED prices have become more reasonable, there’s a lot of money in this box. These are the best value in R20 LED bulbs I could find and I’ll review them in a future post. 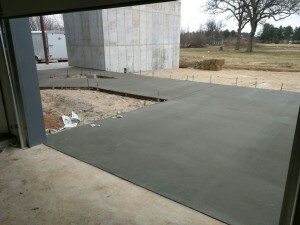 The massive expanse of concrete in the front of the house only half-done. 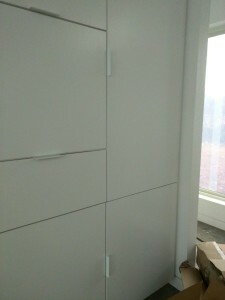 Although we love the look of the cabinets, there are two problems. 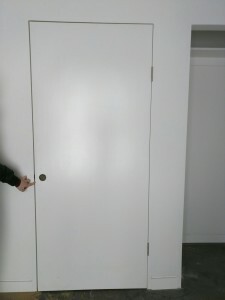 First, the executive decision t put the pulls vertically on the doors could not be more wrong. Don’t mix horizontal and vertical. Second, they’re just not glossy enough. We need more shine! One of the kid’s rooms. 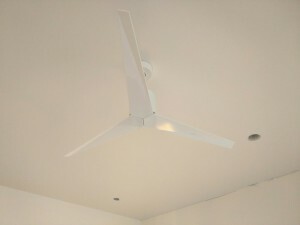 The fan is a 52″ Minka Aire Wave in Koa. We could have gone with white here to blend in, but decide to go with an interesting wood finish in the bedrooms instead. One of the coolest ceiling fans you can buy, the Eliza by Matthews Fan Co. It’s DC powered so it doesn’t use much electricity. The George Nelson bubble lamp that will be over the dining table. This is the only stand-out light fixture in the house. 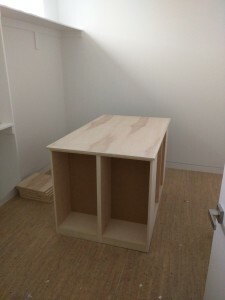 The island in the master closet. It’s a little wide for the space, but we made it work. Stairs with cable rail and step lights on. The step lights are WL-LED100TR from WAC.